Google Shopping Local Inventory Ads (LIA) are a great way to target shoppers nearby your phsyical stores who are searching on Google.com. 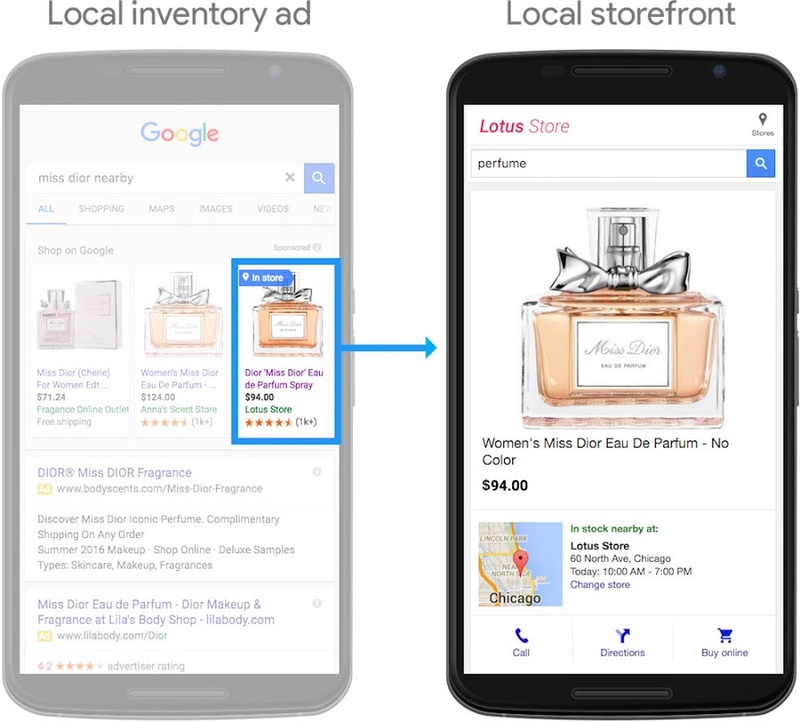 When your ad is clicked, shoppers get to a larger ad format on Google.com that lets them see your in-store inventory and hours. LIA are currently available in Australia, Brazil, Canada, France, Germany, Japan, UK, and the USA. Local Inventory Ads require two different feeds, 1. the local product feed, and 2. the local product inventory feed. Each has their own feed format and specifications. This is a list of all your products and attributes that are sold in stores. The following are the required, recommended, and optional attributes. The local product inventory feed details the actual stock of each product at each physical store. How to send your Google Shopping LIA feeds to Google? You can send your LIA feeds to Google via FTP or API. Feedonomics supports both! 1. With over 1,200 physical stores across the country, Sears Hometown and Outlet Stores has embraced Google local inventory ads (LIAs) to bring nearby customers on mobile devices into stores. The results: a 16% higher click-through rate and a 122% higher store visit rate compared with online PLAs. 2. Office Depot, Inc., formed as part of the merger of Office Depot and OfficeMax, turned to local inventory ads (LIA) to reach omnichannel shoppers. The results provided a better shopping experience, deeper consumer insights, and a 3X return on the company’s digital marketing spend. Need Help With Local Inventory Ads Feed Management?